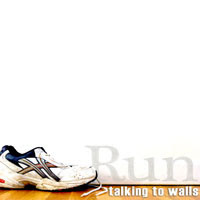 Rockers, Talking To Walls have released a new single. "Run" is being offered as a "pay what you can" donation with all, yes, 100% of the proceeds going to the Dana-Farber Cancer Institute. They've also released a video of the song which you can check out at the bottom of the post. If you wish to donate, visit the page the band has set up, HERE. And, for more information about the Dana-Farber Cancer Institute, please click HERE.